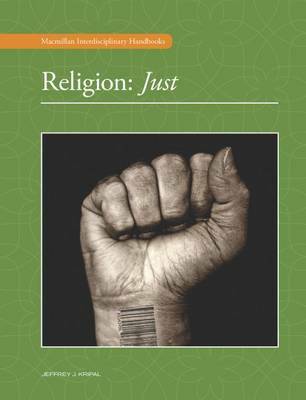 The Macmillan Interdisciplinary Handbooks: Religion series serves undergraduate students and interested lay readers who have had little or no exposure to the academic study of religion. Each handbook provides an introduction to a subfield of the study of religion. Handbook is to ... read full description below. The Macmillan Interdisciplinary Handbooks: Religion series serves undergraduate students and interested lay readers who have had little or no exposure to the academic study of religion. Each handbook provides an introduction to a subfield of the study of religion. Handbook is to be understood in the simple sense of This is how you do it. The volumes strive for both intellectual clarity and a genuinely accessible voice, always emphasizing this how-to approach. Interdisciplinary in nature, the volumes employ numerous perspectives from the humanities, social sciences, natural sciences and the arts to interrogate and explore those complex sets of human experience and activity that have traditionally been gathered under the rubric of religion. For example, the volume (and summary Primer chapter) on material culture will show how exhibiting sacred art provides an illuminating lens through which to enter religious studies. Each chapter ends with a summary. Each volume is overseen by a specialist in its field.